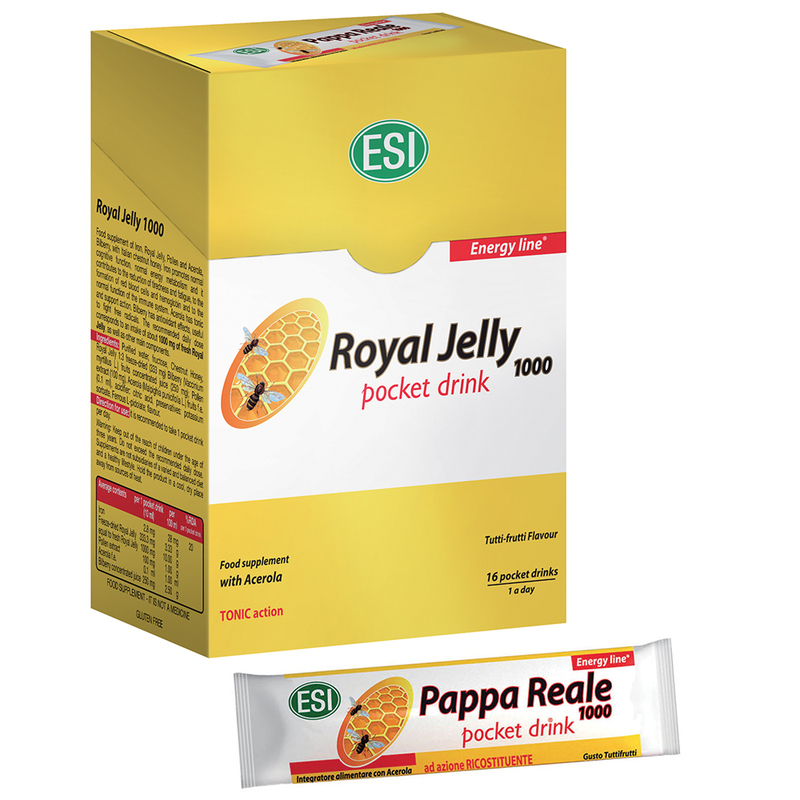 This is a Royal Jelly, Pollen, Acerola, Bilberry based supplement with Italian Chestnut Honey. Iron reduces tiredness and fatigue helps to support normal cognitive function, energy levels, reduces tiredness and fatigue, the production of red blood cells and hemoglobin and contributes to proper immune system functioning. Acerola supports and rebuilds damaged tissues. Bilberry is full of antioxidants and fights free radicals. The recommended daily dose corresponds to1000 mg of fresh Royal Jelly, in addition to other major components. Tutti Frutti flavor. Warnings: Keep out of the reach of children three years of age or under. Do not exceed the daily recommended dosage. Supplements should not be considered a substitute for a balanced diet and a healthy lifestyle. Store in a cool and dry place, away from sources of light and heat.